I would like to receive occasional information and updates from The ELF Ball 2018 and jumblebee. Thank you for supporting Exeter Leukaemia Fund! 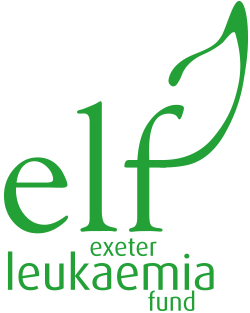 All monies raised from our online auction and at our Annual Ball on 14th September enable ELF to support patients and their families across Devon suffering from all forms of blood cancer. We provide transport, accommodation, patient support, physiotherapy and counselling to patients treated at The Royal Devon and Exeter Hospital which has the main haematology ward for the whole of Devon. 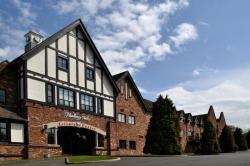 One night stay at Woodbury Park for two people. Includes evening meal and bed and breakfast. Woodbury Park offers fantastic hotel rooms with fabulous views over their own grounds and the Devon countryside beyond. 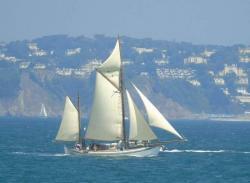 A 3 hour sail for up to 8 guests around Start Bay on board Escape , a classic sailing yacht built in Norway in 1936. Pick up and return from Dartmouth. Includes a lunch of cold meat and cheese platters , fresh bread. olives , chutney, crackers , crisps and a bottle of champagne, followed by strawberries and cream. Escape is fully crewed so you can sit back , relax and unwind or get hands on and with instruction hoist, set sail and take the wheel . 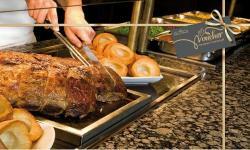 A delicious carvery for four people at The Devon Hotel in Exeter. Carriages Brasserie is a wonderful place for lunch or dinner. 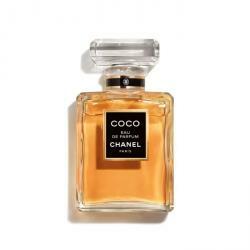 Set in the heart of the original Georgian manor house, Carriages evokes romance. Carvery is available every day and has a reputation as one of the very best anywhere in the South West of England. People travel from miles around to enjoy the succulent joints of meat and freshly prepared vegetables! Guest pass for two people to use EGCC's pools, sauna, steam room and jacuzzi. Also allows access to the bars and restaurant. EGCC is located on Topsham Road, just outside Exeter city centre. Not valid for use on weekends. 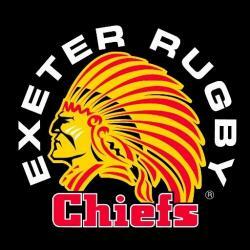 Two North Terrace tickets to watch an Exeter Chiefs Premiership Rugby Cup Game. Valid for 2018/2019 season. Voucher for tickets must be redeemed before the game. Tickets cannot be issued on a match day or upgraded. Tickets issued are limited and subject to availability. Two VIP tickets for The Devon County Show May 2019. The Devon County Show is an agricultural show held annually from Thursday to Saturday in the third week of May at the Westpoint Arena and Showground in Clyst St Mary near Exeter. 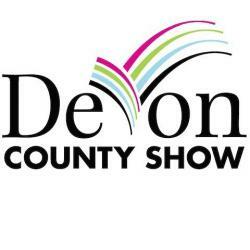 The show is a celebration of rural life in Devon, and features country and livestock competitions, a grand parade, equine events, local food and local drink, traditional entertainment and rural crafts. Tickets include forward parking, admission tickets, admission to the Member's Pavilion and a Show Guide voucher. 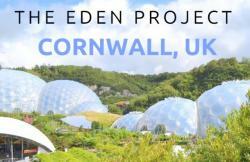 A family pass to one of the most popular visitor attractions in Cornwall. Inside the two biomes are plants that are collected from many diverse climates and environments. The winner is entitled to a MINI Cooper 3 door hatchback for 48 hours. 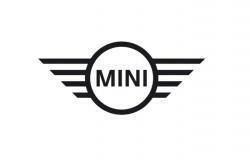 Exeter based - for collection from Westerly MINI on Marsh Barton. Master the NOVICE ride inclusive of track tuition and a ride across the valley through woodland and farmland. Then onto the SKILL ride climbing back to the top of the farm, with the small Table Top, S Bends, Challenging Terrain and Water Splashes before finishing with The Big Dipper home. One hour inclusive of tuition. Experienced escorts ensure a safe and enjoyable ride. Rider must be aged 8 years and above. (Children aged 8 years and above cope with the SKILL whether they have ridden a quad or not before, due to the rides being tailored to your ability). Based at Keypitts Offroad Adventures, Keypitts Farm, Ilfracombe. Coasteering is a relatively new adventure sport and is one of the most exciting and unforgettable things you can do in Devon! 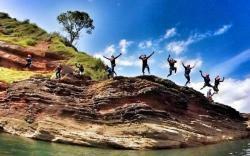 It involves swimming, climbing, scrambling and jumping your way around the coastline at Maidencombe. A new and undiscovered route is awaiting the adventurous ones! Each trip is unique and tailor made to your ability. Fully insured with all safety kit provided. The winners just need to bring a towel, swimwear, a pair of trainers and an old pair of shorts. Children under the age of 18 must be accompanied by a responsible adult. Based in the beautiful Smuggler's Haunt of Maidencombe, north of Torquay. 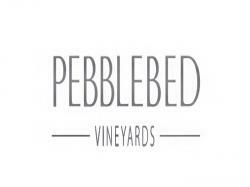 Enjoy a vineyard tour with wine tasting at Pebblebed Vineyard in Topsham, Devon. Pebblebed has 20 acres of established vineyards on sunny south facing slopes close to the River Exe. Enjoy one of the vineyard's organised tours and sample some of their award winning wines at a wine tasting session. South Devon Railway is the longest established steam railway in the south west. Enjoy a return journey along the former Great Western Railway branch line, built in 1872, passing through the stunning valley of the River Dart between Buckfastleigh and Totnes. Voucher valid for two adults and two children (aged 3 to 15). Valid on all trains except "Thomas" days, Fish and chips trains, dining trains and Santa-by-Steam specials. Valid from 5th September until 30th October 2018. 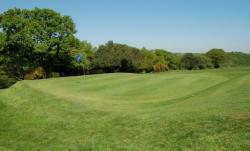 Enjoy one round of golf at the club for up to four players. Tee time to be booked before arrival. Sylvania Cakes is a small, home based business formerly situated in Exeter and recently relocated to the beautiful village of Halberton, Devon. They specialise in creating delicious, individually designed cakes to suit the personality and the occasion. 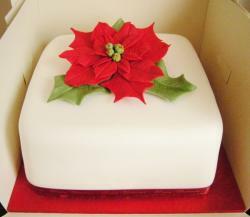 The winning bid receives a rich fruit Christmas cake (8”), marzipanned and iced with fondant, and decorated to your requirements. 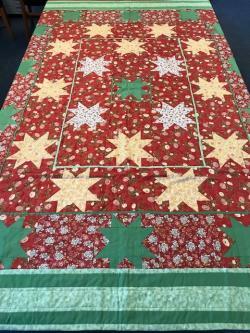 Hours of work went into this amazing handcrafted item! 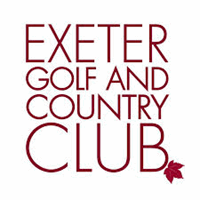 The winning bid entitles four people a concessionary green fee for 18 holes at Teignmouth Golf Club. The course at Teignmouth Golf Club was designed by the legendary Dr Alister MacKenzie and opened in 1924, some 9 years before he completed his most famous work at the Augusta National, home of the US Masters. This prize must be used by 31st December 2018 and all players must hold active handicap certificates. 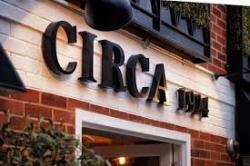 Enjoy a fabulous chateaubriand and bottle of Argentinian Malbec for 2 people at this independant Seafood, Steak House and Nightspot in the heart of Exeter's City Centre. Chateaubriand steak is a meat dish cooked with a thick cut from the tenderloin filet. A delicious sharing meal for two! Two tickets to a terrarium workshop at Hutch, an independent houseplant and bespoke terrarium shop in the heart of Exeter. A fantastic prize for anyone green-fingered or wanting to master a new skill! A terrarium is usually a sealable glass container containing soil and plants, and can be opened for maintenance to access the plants inside. However, terraria can also be open to the atmosphere rather than being sealed. The winners will make their own closed Jar Terrarium to take home. All tools and materials are provided as well as refreshments (beer, prosecco, hot and soft drinks). Workshops are held monthly with the exception of November and December. Voucher valid until 28th February 2019. Enjoy two entries to Canonteign Falls, a dramatic combination of waterfalls and lakes located in the beautiful Teign Valley in Dartmoor National Park. The waterfalls cascade 70 metres down to streams which meander through ancient bluebell woods to the wetlands and lakes below. 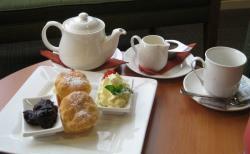 After exploring the stunning sights, enjoy a Devon cream tea for two people in the Home Farm Cafe. Canonteign Falls is located 10 miles south of Exeter. Two child (aged 3-15) tickets to Living Coasts, an all weather attraction located on Torquay seafront. There’s plenty to see and do: mingle with the playful penguins, get up close to the otters, octopus and seals or visit Penguin Beach to walk with the African and macaroni penguins and catch the entertaining feeding time talks. Children under 15 must be accompanied by a full paying adult. Tickets valid until 18th July 2019. Two tickets to see a film of your choice at Picturehouse cinema Exeter. Valid any day of the week including weekends. Tickets not valid at festival and selected seasons, free-list suspended films, premium events and 3D films. With its winding woodland paths, spectacular trees, adventure play and amazing animals, Wildwood Escot is the ideal family day out in Devon. Lose yourself in the fantastic maze, then find yourself on the woodland trails where you'll encounter wolves, lynx, wild boar, wildcats and red squirrels. 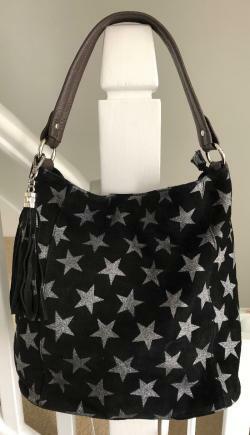 A gorgeous black suede handbag with silver star design. The ultimate vertical playground experience for 3 people! 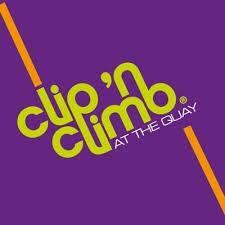 Clip 'n Climb's themed climbing arena provides healthy and challenging climbing fun for everyone ages 4 & up! With 26 different climbs to try there is fun for all the family as you clip in and climb up - no experience is necessary and auto belay systems mean that climbing has never been simpler. Test your resolve and determination on Inflated, climb commando style on the Jungle Gym, reach new heights on the Skyscraper, take the Speed Climbing challenge or light up the board on the Checkerplate! The winner has access to the club's well-equipped boutique gym with 36 fitness classes. Also swimming in the heated outdoor and indoor pools, sauna, jacuzzi and new steam room. With a top team of personal trainers and motivational atmosphere, the gym is perfect whether you’re super fit or just starting out.